Are you thinking about raising chickens but wonder what it’s like to do so in an urban or suburban area? Or are you already raising chickens and wonder how others are doing it? Or are you just interested in taking a fun tour through the Chicago area? On Sunday, October 3rd, 2010—rain or shine—the first annual Hen-apalooza Chicagoland Chicken Coop Tour will take place at 15 locations throughout the area. Hen-apalooza will be a self-guided tour, so visit as few or as many local chicken-keepers and their fowl friends as you like. A map of tour locations is available at http://tiny.cc/8630w. 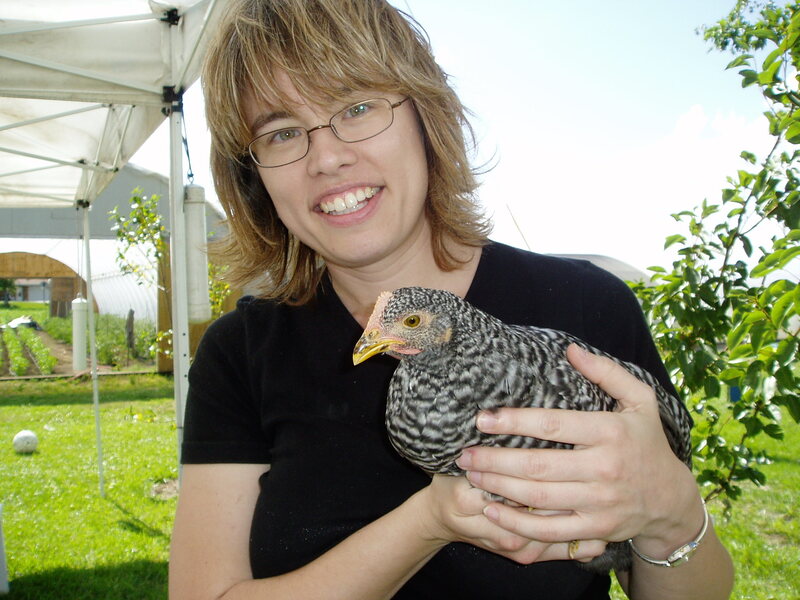 Home to Roost urban chicken consultant Jennifer Murtoff will be on hand at 2 PM at the Logan Square Co-op (1936 Sawyer Ave.) to talk about her experience and services. She’s also give some quick tips, a “six-point inspection” to assess the health of a chicken. For more information and a Hen-apalooza Passport to track your tour progress, please see http://tiny.cc/hen-apalooza or the Chicago Chicken Enthusiasts Google Group at groups.google.com/group/chicago-chicken-enthusiasts. Children under 16 must be accompanied by an adult. No dogs or other pets please. Street parking available at each location. Please consider biking or using public transportation. Hen-apalooza Chicagoland Chicken Coop Tour is presented by the Chicago Chicken Enthusiasts (groups.google.com/group/chicago-chicken-enthusiasts) and generously supported by Angelic Organics Learning Center (learngrowconnect.org), Backyard Chicken Run (backyardchickenrun.com) and DoubleTake Design (doubletakedesign.com). There are 35 slots, but they generally sell out quickly. Home to Roost will be presenting the workshop. This is a great opportunity to connect with other chicken people! Learn how to keep you, your chickens, & your neighbors happy – from daily needs and year-round care to relevant city regulations. For more information about the Learning Center’s registration & refund policies – click here. If the workshop fee presents a barrier to your participation, please inquire about limited work-exchange scholarships. For Chicago workshops, contact chicago@learngrowconnect.org. Evanston, IL, a suburb of Chicago, currently prohibits chickens. However, residents are getting their feathers ruffled over the ordinance. Other Chicago suburbs allow backyard fowl, including Oak Park, where Home to Roost is based. Read the Tribune‘s coverage of the Evanston story.